Participation fee includes race kit, tree sapling, breakfast, lunch, t-shirt and official SORR2016 memorabilia. 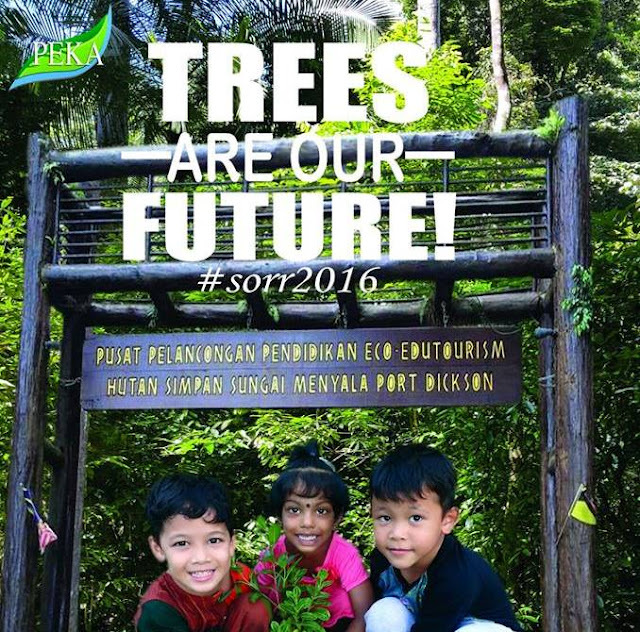 Save Our Rainforest Race (SORR) that has taken place annually since 2013 organized by Pertubuhan Pelindung Khazanah Alam (PEKA, Malaysia), an NGO fighting for issues related to natural heritage including preservation and conservation efforts of tropical rainforest in Malaysia. 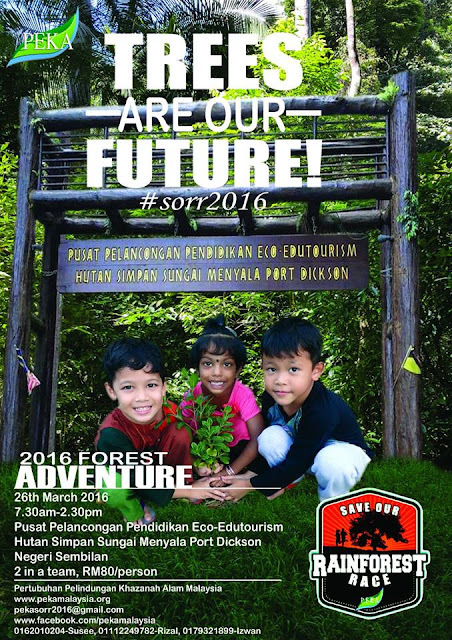 This time, SORR 2016 will be held on March 26, 2016 at the Center for Eco-Tourism Education Edutourism, Sungai Menyala Forest Reserve, Port Dickson, Negeri Sembilan.